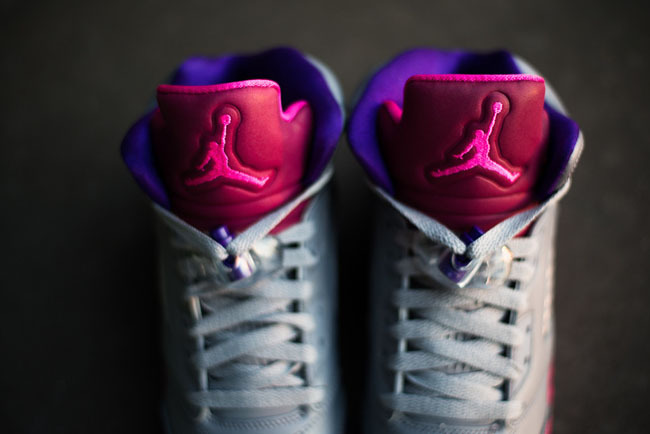 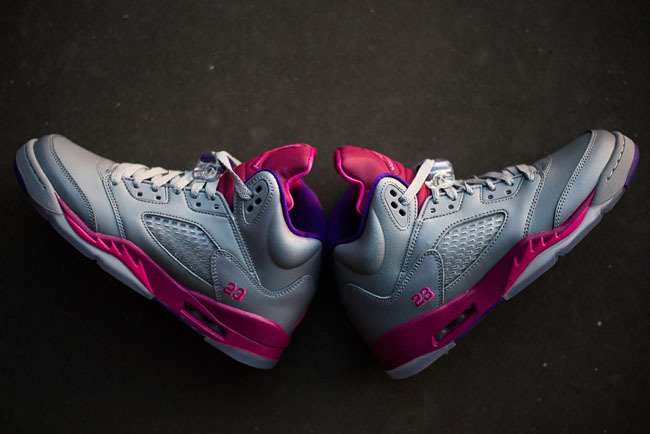 Launching this upcoming weekend is a new colorway of Air Jordan V for girls. 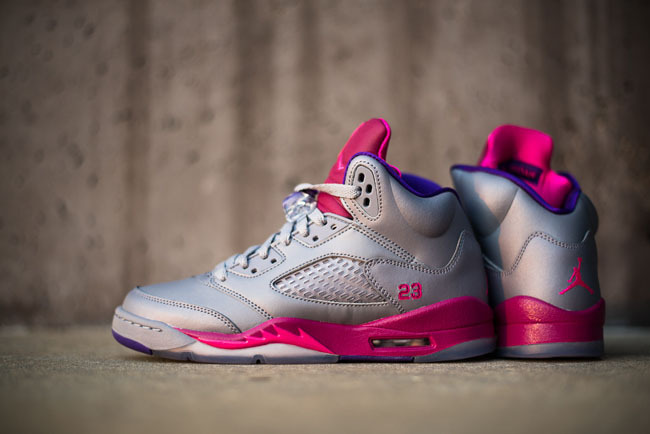 Launching this upcoming weekend is a new colorway of Air Jordan V for girls. 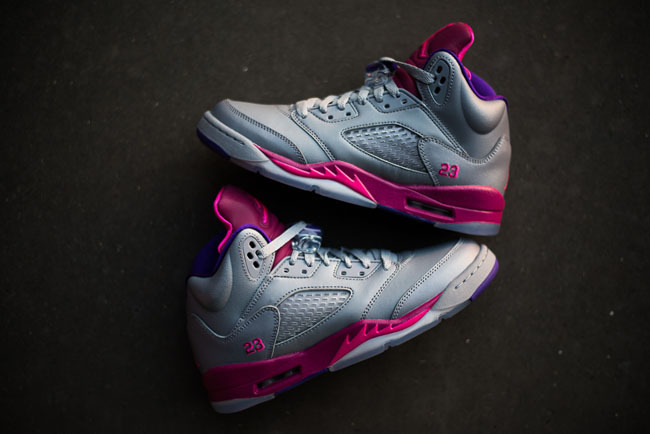 The upper has been done in a Cement Grey color, which is accented by bright Pink Flash, Raspberry Red, and Electric Purple on the outsole and lining. 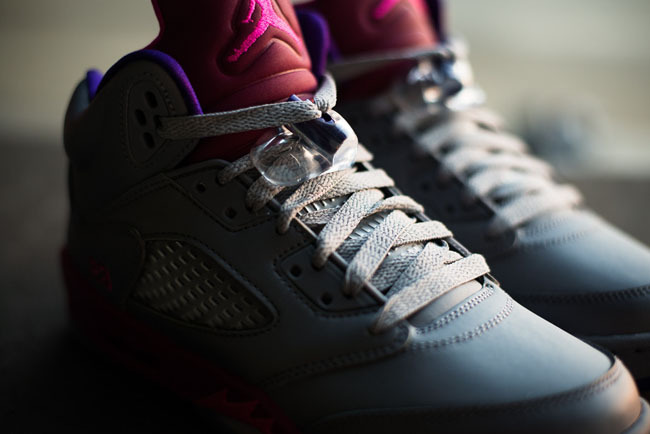 The shoe retails for $115, and will be available at retailers such as Sneaker Politics. 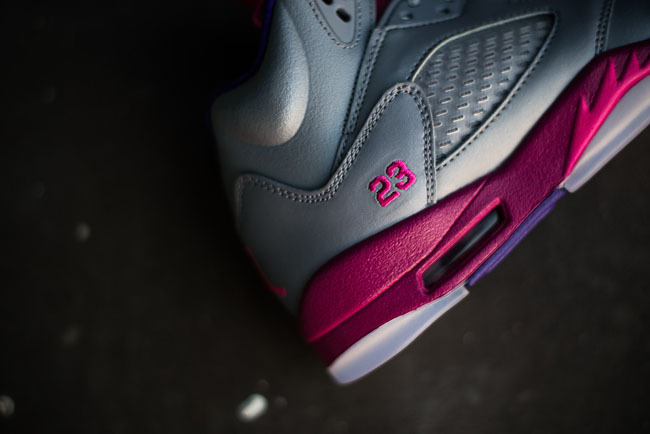 Is this a colorway you would have liked to see release in adult sizes?